Combine two popular outdoors activities in Turkey on an exhilarating full-day tour from Kemer. Start with transfer to Taşağıl village, then take an off-road journey by Land Rover jeep through the Taurus mountains, stopping at small villages along the way. 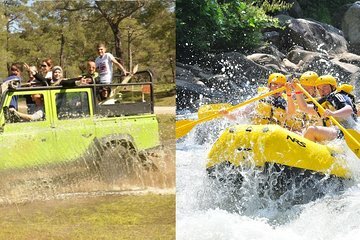 Next, go white water rafting through Koprulu Canyon National Park, with a lunch break on the riverbanks. Finish this action-packed day with return transfer to Kemer.